Today we're taking a look at who we consider the three most influential/significant Norwegian poker players of the online generation. As with the other Scandinavian countries, Norway has a great tradition of producing world class poker players and avid gamblers, with online casino operators taking up to $170,000,000 in online wagers from Norwegian bettors every year. 32 year old Jonny Lodden has been playing online poker for exactly half his life, admitting to starting at the age of 16 after watching an IT teacher at school playing limit hold'em. Lodden said watching his teacher helped him learn the fundamentals before he took to the virtual felt and quickly progressed through the limit hold'em stakes before transitioning to no limit hold'em. Although Lodden is still very much on the scene today, having spent nine years from 2008 as a PokerStars pro before leaving to sign with partypoker in April this year, it will possibly come as a shock to some of you to learn that in online poker's early days (ie: pre highstakesdb's tracking), that Lodden allegedly built up a $10,000,000 bankroll after crushing the highest stakes heads-up sit and gos on PokerStars, where he played as 'Lars-Magne', and more importantly, annihilating the $200/$400 heads-up NL tables over on the Prima Network. At this time (2003-2006) the Euro sites were where the biggest online games took place. 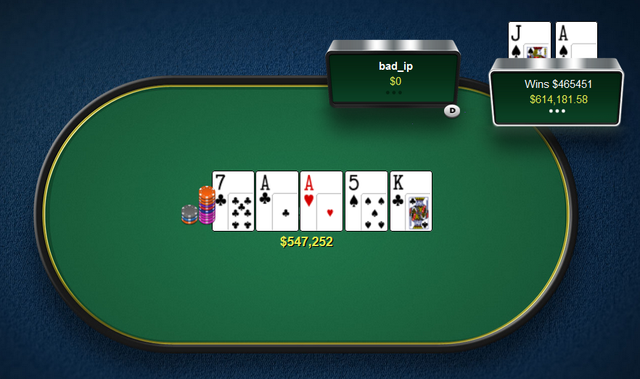 Perhaps the reason some of you may not be too familiar with Lodden is that despite building up a bankroll which would be the envy of pretty much any online high stakes player today, he managed to lose it all by the age of 21. Lodden's dramatic downswing was in part incredibly unfortunate as it It is widely believed that Lodden (as well as Patrik Antonius) were both hacked and scammed out of a lot of money playing Swedish player Mohamad Kowssarie who went by the screen names on various sites as "TheTerrorist", "TerrorOfSweden" or "Fast_Freddie". This included Lodden, who playing under the name "bad_ip" losing a $465,451 pot to Fast_Freddie in June 2006 - by far the biggest ever online pot at the time. Lodden may have lost a lot to Kowssarie, but it was another form of online gambling which did the real damage to Lodden's bankroll. No, it wasn't at Norway's numerous online casinos which got the better of Lodden but sports betting where he allegedly lost millions of dollars. By 007 he had lost the lot and was relying on a stake from a friend to grind out a living at the mid-stakes where he has pretty much stayed ever since. Despite his fall from high stakes grace, there's no doubt that Jonny "bad_ip" Lodden is a legend of Norwegian poker. Annette Obrestad's importance in online poker is hard to overestimate. If anybody helped destroy the "old school" image of a professional poker player then it was Annette. Obrestad was an even earlier starter than Lodden as she started her online career aged just 15 using the moniker "Annette_15". A tournament player by trade, in 2007 by the age of 18 Annette was ranked world no.1 by PocketFives.com. In July that year Obrestad won famously a $4 entry 180 man sit and go only looking at her hole cards once (when facing an all-in situation) until the heads-up phase, saying she did it to show "just how important it is to play position and to pay attention to the players at the table." In the same year she would go on to become the youngest ever WSOP champion (a record she still holds) as she won the WSOPE Main Event in London for over $2m. The very next month Obrestad added another $430k for placing second in the Main Event at EPT Dublin. Obrestad has almost $4m in live tournament winnings, and another $2.75m in online tournament winnings. Amundsgaard is much better known by his PokerStars screen name "Odd_Oddsen" or his Full Tilt moniker "no_Ola" where he has won a combined $4m playing in the highest stakes PLO games online and no doubt plenty more at mid-stakes where he has played "many millions of hands" building his bankroll. Amundsgaard has been one of the few players to make a successful transition from mid-stake to high-stakes PLO in the past few years, being a relative "latecomer" to online poker in 2008. Known for both his 6-max and heads-up prowess, "Odd_Oddsen" has also been known to be a huge multi-tabler, playing at a dozen or more mid-high stakes heads-up tables at once. Above: The high stakes graphs of Ola Amundsgaard above for Full Tilt (red graph) and PokerStars (blue graph) bear testimony to the Norwegian PLO player's skills. Seeking to validate the game he loved, Amundsgaard offered a 1 million Krona ($170k) freeroll to any Norwegian politician who could beat him heads-up at PLO over 10,000 hands. This was in reaction to Norway banning online poker as a "game of chance". Erlend Wiborg took Oddsen on at the 50c/$1 tables and of course was beaten to a pulp at the tables by Ola Amundsgaard! Norwegian's may enjoy a game of chance online, but Oddsen made it pretty clear that despite his government's protestations, gambling is something you do at the casino, not at the poker table! Although you can still see Odd_Oddsen at the the high stakes tables online he is more frequently seen back at the midstakes as despite his obvious knack for dealing with the huge variance inherent in multitabling heads-up high stakes PLO, Amundsgaard has gone on record saying that now he has secured himself financially for life (especially in the huge Full Tilt games in 2013-2014), that he sees no point in risking that security playing in the biggest games anymore, especially after going on something of a downswing between 2014-2015. You forgot skjervoy. the guy with the biggest $$ pots won and lost from Norway.